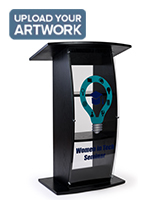 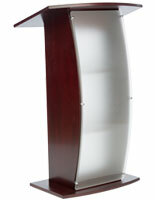 Does your church or conference room need a personalized lectern? 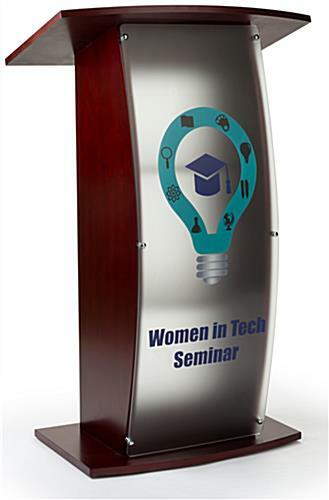 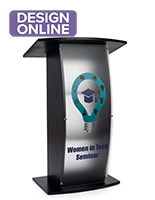 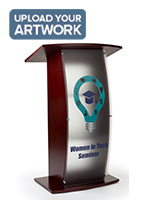 This curved podium with uv printed graphics offers a way! 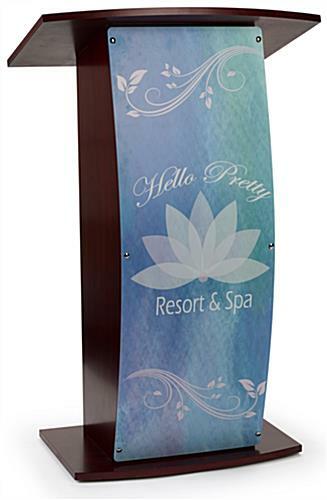 Send us your custom graphics (logo, brand, imagery) and we'll permanently apply it to the acrylic front with UV print technology. 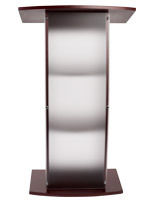 The frosted panel's appearance lets light through but also provides modesty. 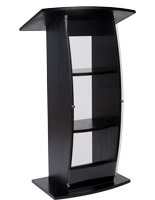 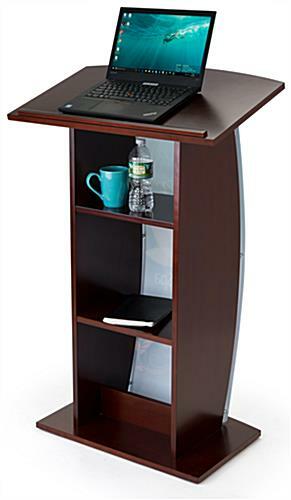 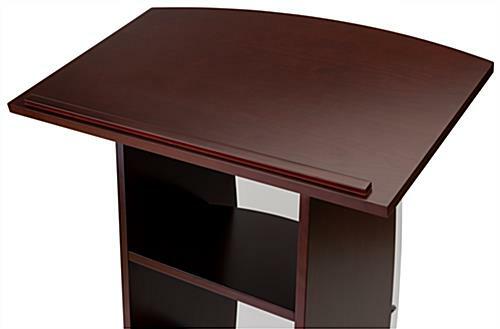 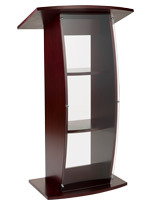 Our curved podium is made with real wood veneer and comes with a rich mahogany-stained finish. 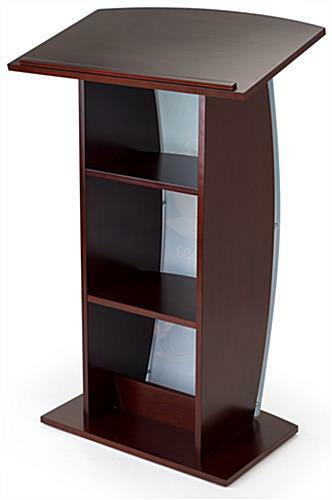 Two interior shelves store refreshments or other supplies. 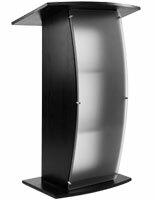 A great choice for religious or secular applications, this wooden podium features an attractive curved design suitable for any contemporary environment. 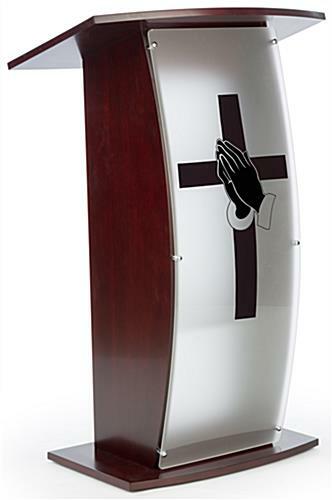 27.5" x 44.3" x 17.8"